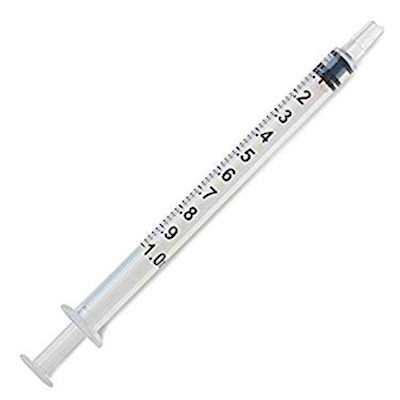 1ml Sterile Disposable Insulin Syringe, Slip Tip (Monoject), also know as a TB Syringe with 1/10th increment reading making it easy to measure out any portion of 1ml. Needles not includes, please order needles seperatly. Syringe Sold only in a Box of 100.